Wolfgang Bauer studied at the Orchestra Academy of the Berlin Philharmonic Orchestra with Konradin Groth. Still studying, at the age of 21, the Frankfurt Radio Symphony Orchestra engaged him as their first solo trumpeter. Bauer played with that orchestra for 12 Years; meanwhile he was engaged as solo trumpeter of the Bavarian Radio Symphony Orchestra of Munich. He studied intensely (Foto:Risch) with Lutz Köhler and Ed.H.Tarr, too. Wolfgang Bauer travelled around the world as a soloist, playing in orchestras and doing chamber music, visiting countries like Japan, Korea, China, the USA, Canada, Poland, the Czech Republic, Romania, Russia, Latvia and almost all Western Europe. The breakthrough as a soloist came in 1993, when Bauer won the “Competition of the German Music Council”, followed by the “ARD International Music Competition” in Munich, Bavaria. Wolfgang Bauer attended as a guest various music festivals, such as the Rheingau Music Festival, the Schleswig-Holstein Music Festival and the Kissinger Summer. He performed with famous orchestras like the Royal Philharmonic Orchestra London and the French National Orchestra, the Bavarian Radio Symphony Orchestra, the Dresdner Staatskapelle, the Munich Philharmonic Orchestra, the Radio Symphony Orchestras of Stuttgart, Frankfurt and Cologne, the Hannover Radio Philharmonie, the London Philharmonic Orchestra, the Polish Chamber Orchestra as well as the Württemberg and Stuttgart Chamber Orchestras, among others conducted by Lorin Maazel, Fabio Luisi, Ton Koopman, Carl StClair, Donnald Runnicles, Dmitrij Kitajenko, Andrey Boreyko, Denis R. Davis and Eliahu Inbal. Wolfgang Bauer has participated at numerous CD productions, ten of these are recordings of chamber music and another nine are solo recordings. The recording of the Michael and Joseph Haydn concerts received international acclaim from the press. 2008 one of his recordings got the title “recording of the Year” by www.soundstage.com. 2009 Wolfgang Bauer was honoured with the German Music award ECHO Klassik 2009 as “Instrumentalist of the Year”, one of the most essential music awards worldwide. The recorded repertory is vast and includes renaissance music, the exposed pre-classical trumpet concerts, the famous trumpet concerto by Joseph Haydn as well as contemporary solo works and light entertainment by Gershwin and Bernstein with the ensemble hr-brass of which Bauer is one of the founding members. Wolfgang Bauer gave a large number of concerts with the baroque ensemble Wolfgang Bauer Consort, as well as with the brass ensemble CITY BRASS Stuttgart founded by him, which in 2006 received the highly quoted promotional award by the State Music-Academy Baden-Württemberg in Ochsenhausen and the Bruno Frey Foundation. One of the CDs published with the Wolfgang Bauer Consort is a live CD with works such as the exposed Brandenburg Concerto No.2 performed during the Maulbronn Monastery Concerts. The ensemble produced a CD for children, released by Edition Seeigel, which in July 2005 ranked first on the Best-seller list of hr2-audio-books. 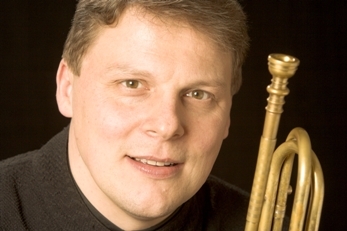 Wolfgang Bauer is a highly requested teacher, too: besides carrying out master classes he gave lessons at the Frankfurt Conservatory and was put in charge of the trumpet class at the Music Academy of Basle. In 2000 he accepted a post as professor at the State University of Music and Performing Arts Stuttgart.